Until recently, pain management for animals wasn’t given much consideration by vets or pet pawrents. In fact, vets used to think that debilitating pain could actually help an animal to heal! Imagine your dog coming home after amputation without so much as a Tramadol pill. Ouch. But now, thanks to leading pain management experts like Dr. Robin Downing, founder of the International Veterinary Academy of Pain Management, we know that animals feel pain like humans do. Although veterinary pain management is still in the early stages, vets and pawrents now understand that managing an animal’s pain will facilitate a successful recovery and a long, hoppy life. Dr. 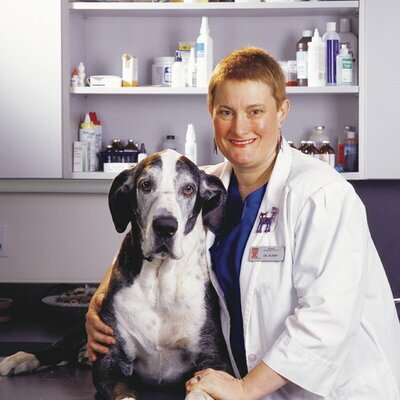 Downing has a veterinary practice in Colorado, called the Downing Center for Animal Pain Management. 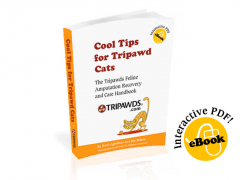 Her website has fantastic downloads for pet pawrents in the Pet Health section. 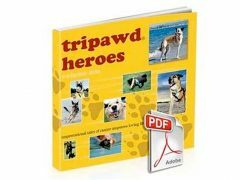 Stay tuned: Tripawds’ home base is near Dr. Downing’s practice, and we plan on interviewing her later this summer!